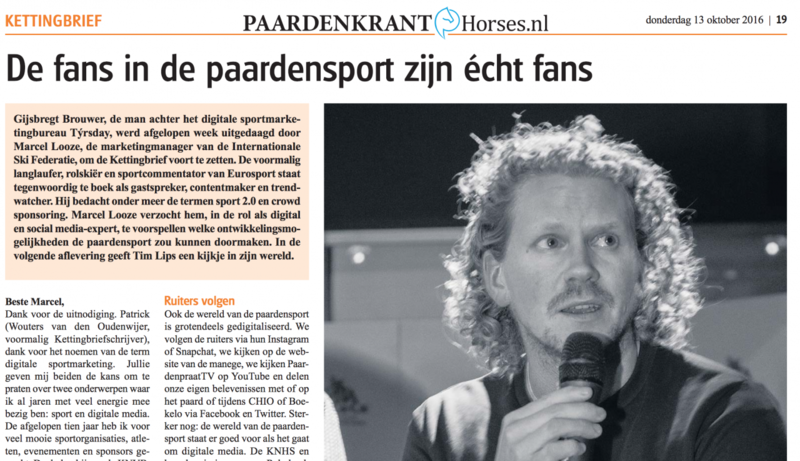 For our Dutch readers: a clipping from the Dutch "equestrian weekly" where our cofounder Gijsbregt talks about how the sport is doing with social media and conten and the follow up by Olympic eventing rider Tim Lips. 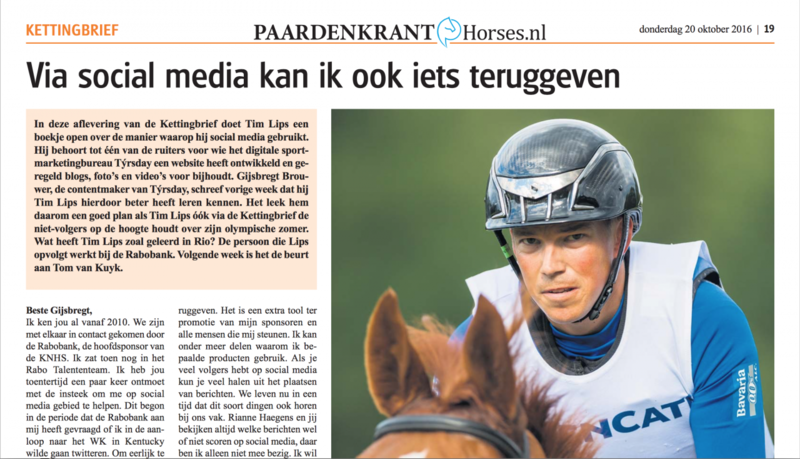 In the weekly chain letter of horses.nl, Marcel Looze - marketing director at FIS - asked our cofounder Gijsbregt to shine his light on the digital progress in the world of horse riding. Týrsday has been involved in the equestrian sport for some years and developed the hugely successful platform Ruiters in Oranje (Riders in Orange) together with the Royal Dutch Equestrian Federation. Next up is Tim Lips, Olympic equestrian rider, Týrsday client and all round good guy. One week later Tim Lips wrote about his social media and about working together with Tyrsday. Read his letter here.